The Big Max Lite Max III is an ultra-light, foldable push trolley featuring a third wheel for added stability. All the wheels have steel ball bearings; the third one is detachable and has a pressure-lock system. 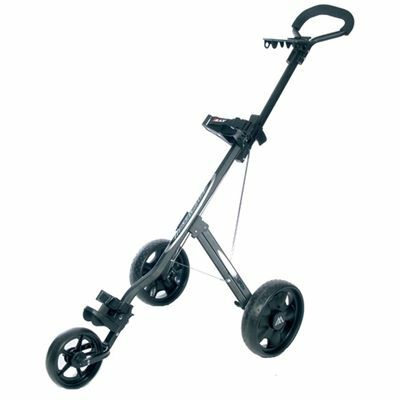 The trolley has an adjustable sort grip, suitable for users of all heights, and a push-on/push-off brake system. There is also a high-strength bag bracket, a rear support bracket, and a quick release Velcro bag strap to keep your bag stable and secure. Additionally, the trolley has a scorecard holder with a storage compartment. for submitting product information about Big Max Lite Max III Push Trolley We aim to answer all questions within 2-3 days. for submitting product information about Big Max Lite Max III Push Trolley. We aim to answer all questions within 2-3 days. If you provided your name and email address, we will email you as soon as the answer is published. 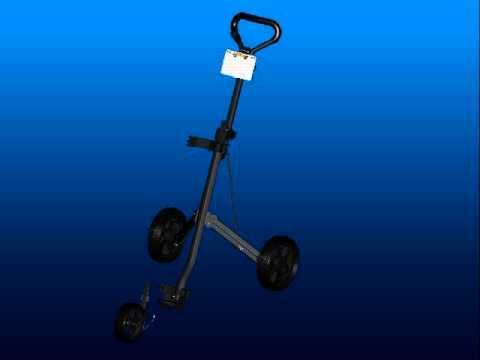 for submitting product review about Big Max Lite Max III Push Trolley.